In 1948 Derwin C. Vaill was employed as a field inspector at Bryant Chapman Dairy, which later became Sealtest Dairy. He and A.C. Fisher developed what is believed to be the first bulk tanker on the East Coast and later was asked if he wanted to drive this new "contraption" that they fully intended to utilize in the milk collection process. Prior to this, all milk was shipped in those now quaint, collectable 40 quart cans. Der accepted the challenge and was the key player in convincing the dairy farmer of the day that this was the wave of the future. He would continue his job as inspector during the day and at night visit with dairy farmers in Eastern New York State. There was great opposition to this new method and the task of convincing farmers that this was indeed the wave of the future was very difficult. The idea caught on, and one by one, dairy farmers all over New England converted to bulk cooling methods. This resulted in much higher quality milk reaching the dairies. Sometime during the Summer of 1949 Vaill was asked if he was interested in purchasing his own truck and become the liason between the farmer and the dairy. He teamed up with Joe Ruwet, who later went on to a distinguished career in politics, and bought their first truck from Toce Brothers, a 1949 GMC 650. 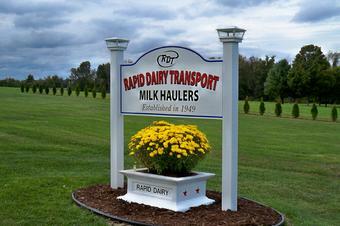 Rapid Dairy Transport was born and we are widely believed to be the first independent bulk milk haulers in the Northeast, and perhaps the entire U.S.A. This is a photo of one of the first bulk trailers on the East Coast used to collect milk from dairy farms. There was a gasoline powered pump mounted under the rear bumper that pumped milk up through a stainless steel pipe and down into the tank. The engine was very tempermental, and often had to be started at the first farm, and left running until the last drop of milk was pumped at the end the day. This is a photo of a modern day rig used to gather milk from dairy farms. The trailer itself is longer in length than the entire unit pictured above! Joe Ruwet decided very shortly after the business was founded that it was not for him, and went on to a distinguished career in politics. His Grandson, Ryan Bingham, served as Mayor of Torrington. 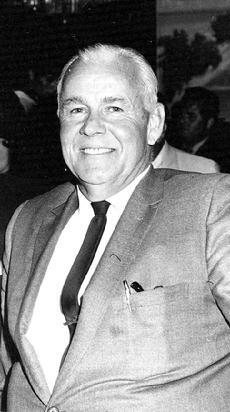 Derwin C. Vaill retired in 1980 and his son Derwin S. Vaill took the reigns until his retirement in 1996. His son Kenneth J. Vaill is the current, third generation owner of the company, and his son Michael C. Vaill is preparing to become the fourth generation of Vaills to head up the family business. Rapid Dairy has missed just one day of milk delivery, and that was during the flood of 1955, which helped spawn the idea for our pool water division. In 1999, we proudly celebrated our 50th year as a third generation, family owned and operated business. Rapid Dairy Transport, Inc. has been fortunate throughout the years to have been able to employ some of the finest drivers to ever sit behind the wheel. Without their loyalty and dedication, the company would never have reached this milestone. Men such as Nivio (Nebs) Cracco, Roger Myers, Frank Sekulski, Jr., Frank Hurrey, and several others, were instrumental in ensuring that our milk routes were picked up and delivered every single day. Bill Mangan, Denny Lovallo and Mike Vaill have done a superb job in recent times to continue our unmatched record of consistency. Again, our drivers are the key to our success.